When we have trees and shrubs in our yards, or when we live in high density housing environments, shade from our gardens or surrounding buildings can be a real nuisance for our lawns. No matter what type of turf we grow at our homes, there’s just no getting around the fact that our lawns need at least some sunlight every day so that they can survive and thrive in health. Adding to this problem of shade on our lawns, is the fact that some of the cheapest and most common grass brands being sold today are actually poorly adapted to growing in any type of shade. No matter what the brand, grasses like Couch and Kikuyu will always have the worst shade tolerance of our most often utilised lawn grasses. So we can expect that whenever we have a Couch or Kikuyu lawn – which is experiencing regular shade each day – often these grasses will die-off. When choosing a new lawn, one of the primary considerations is to determine the existing shade levels on the proposed lawn area. Also, whether any new shade-creating obstacles could be encroaching over the new lawn in the near future. In most cases, these obstacles will be trees that are maturing and still growing, or any new high density dwellings created near our new lawn. We’ll first begin with Zoysia grass, which is most commonly available under the brand names of EmpireTM and NaraTM. Zoysia is a fantastic grass in so many ways, it’s naturally more disease and pest resistant than other grasses, requires less water and fertiliser, is very drought tolerant, and requires less lawn mowing than most other grasses. 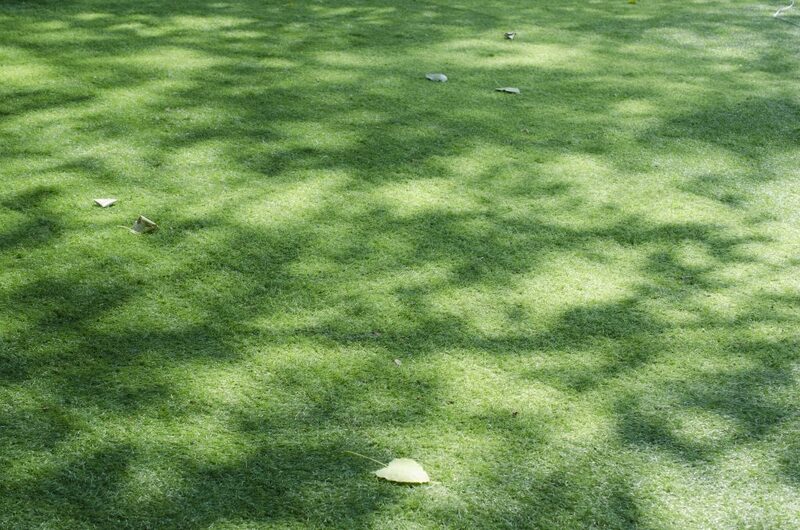 Zoysia has a shade tolerance rating of 40%, which means it can tolerate up to 40% shade each day. This equates to lawn owners as being a medium shade tolerant lawn – which is able to grow healthily in some partial shade. This is in comparison to Couch and Kikuyu. These two types have the worst shade tolerance ratings and can only tolerate around 10% shade each day before they suffer bad health or deteriorate and possibly die-off. Buffalo grass is the most shade tolerant warm season lawn type in Australia. The best shade tolerant Buffalo can withstand up to around 70% shade per day. While most other Buffalo grasses can expect to tolerate between 60 – 70% shade levels. With these points in mind, we can see that if we are expecting to grow a lawn under regular partial shaded conditions, Buffalo is our first choice, followed by Zoysia. Try to avoid Kikuyu and Couch in such shade conditions. The shade ratings for Buffalo grass are all very high. So once you have made the decision to buy Buffalo, then you should be considering buying the best Buffalo for your needs. Some of the most shade tolerant Buffalo varieties in Australia are Sapphire® Soft Leaf Buffalo, Prestige® and Palmetto®. We’ve now answered the question about which lawn type is best in shade, as well as which lawn types are worst in shade, as well as naming the most shade tolerant warm season grass brand in Australia. Now there is just one last very important point when growing any lawn type in any level of shade. 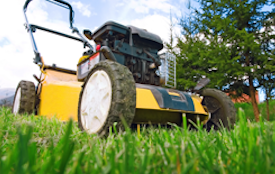 The more shade present on a lawn – the higher you must mow your lawn! This is the golden rule of growing turf in partial shade, the more shade we have then the longer we need the green leaf of our lawns to be. This extra height of the green lawn leaf allows the lawn to photosynthesise more sunlight each day from a growing environment where direct sunlight is reduced. It’s when this photosynthesis is reduced under partial shade conditions that our lawns begin to starve from lack of food, and then begin to get sick or even die-off. So the more shade – the longer the leaf, it’s as simple, and as easy as that! For those who are concerned with mowing a buffalo lawn high due to possible heavy thatching issues, rest assured that this will be of very little concern. Buffalo grass thatch grows fastest and gets to its worst and thickest when the turf is grown in full sun. However, when Buffalo is grown in a little shade, then this thatch layer decreases in line with the amount of shade. If Buffalo thatch does begin building-up, then a short cut back of the turf in the Spring will usually help the problem, and keep the thatch under control. Finally, just be aware that all grasses, even Buffalo, need some direct sunlight each day, and will most certainly die-off if minimal amount of sunlight is not received.